Incorporated in 1995, Federal Environmental Systems is a locally owned business known for its multi-trade, “one-stop” method of mechanical contracting. We focus on plumbing, petrol, ventilation, heating, air conditioning, refrigeration and preventative maintenance in the higher Edmonton area. We're happy with the standard of our workmanship that adopts every task we perform and simply take great pride in offering exceptional value for the cost paid. From furnace to air conditioners, we can fix, service and install all makes and models of heating and air conditioning units. We offer plumbing services that includes plumbing repairs, faucet repairs and replacement, backflow prevention and testing and more. 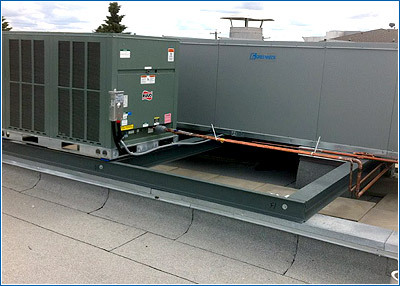 Besides, we offer commercial ventilation and refrigeration services. All our service technicians are expert in handling all HVAC jobs. Our highly trained service technicians are ready to sit down with you to discuss your requirements in order to provide best possible solutions. We pride ourselves on providing high quality service to your utmost satisfaction without blowing your budget. We offer emergency service for 24 hours a day, 7 days a week, 365 days a year. Contact us @ 780 424 1155 to schedule an appointment or for any queries regarding heating, cooling, ventilation and plumbing repair issues. Plumbing & Gas: When a customer is looking for plumbing services they want a company that provides high quality workmanship by expert tradesman at a reasonable price. Our technicians have the experience and expertise to handle any plumbing or gas situation in a commercial or residential building. Our plumbers want to help save you money on both services and products. We are constantly researching new, improved products and techniques so that we have the background to offer our clients the most technologically advanced services that are available. Our goal is to take care of our clients. We take great pride in our loyal and long term customer base. The majority of our new clients are “word of mouth” referrals from existing customers. We appreciate and rely on their strong positive testimonials about the quality of our work. We are an Edmonton based company and we guarantee our work to be professional, reliable, honest and reasonably priced. All work is 100% satisfaction guaranteed. 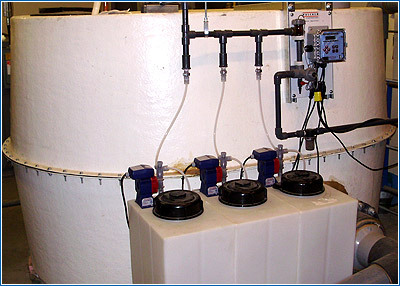 From sales through to installation, repairs and maintenance services, Federal Environmental Systems provides complete “start to finish” plumbing and hot water system services. Maintenance agreements are also available to protect your valuable investments. 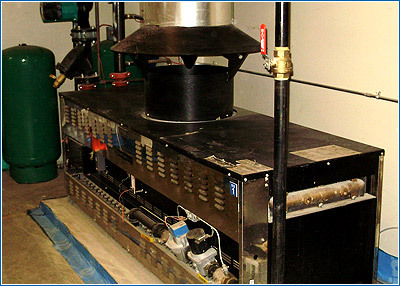 We provide 24/7 emergency On-Call services for any plumbing or hot water system emergency repairs that may arise.Ventilation Federal Environmental Systems specializes in design build projects. 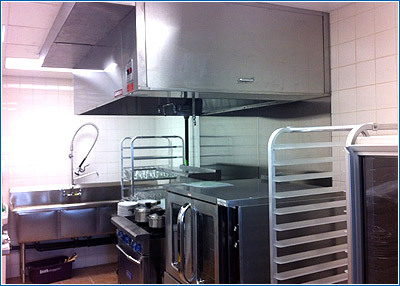 We have successfully completed numerous commercial kitchen and commercial office ventilation projects. We provide complete “turn-key” installations, including the co-ordination of all sub-trades from roofers to fire-suppression technicians, welders and electricians. We also can arrange engineering approvals and permits. Our goal has always been to be a “one stop shop”. We co-ordinate with our in-house staff the hook-up of the gas, plumbing and controls aspects of all projects that we install. We also strive to bring every project in “on time” and “on budget”. 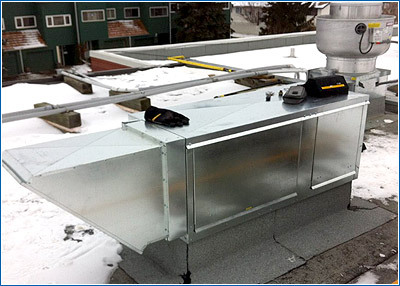 If you have a new project or are looking to upgrade your existing ventilation system, please give us a call. We will be happy to work with you to provide you with the project options that fit your budget. Heating & Air Conditioning: Having a properly functioning HVAC system is critical to maintaining an efficient, productive office environment to promote positive staff morale. For all of your HVAC requirements, trust the professionals at Federal Environmental Systems to provide honest and quality workmanship by “technicians who care”. We are proud to serve the greater Edmonton area and our team of experts has the background to handle any of your Heating/Air Conditioning repairs or Installation Projects. We understand that HVAC repairs, installations or upgrades are expensive investments. Our sales staff have the expertise and experience to provide the options and cost effective solutions to suit your budget. Preventative Maintenance: A basic Preventative Maintenance Program is designed to give you “piece of mind” knowing that a qualified professional tradesman has inspected and serviced your equipment with your best interests in mind. We offer a number of timing options and levels of coverage to provide you with the best degree of coverage to meet your budget guidelines. Our goal is to maintain your equipment so that it operates properly, efficiently and maximizes the overall life expectancy of the equipment. Our inspection services are performed by qualified and experienced technicians to ensure that you get the maximum “bang for your buck”. We know that by taking a little time now to maintain the equipment that you rely on daily, you will realize maximum dividends down the road in reduced operating costs, unnecessary equipment repairs and less “downtime”. Contact us now so that we can work with you to ensure you get full value from your equipment and to protect your investments.